I love my little app. *clap clap* My little app loves me. *clap clap* I play it with my friends *clap clap* and my friends play with me. Ole-ho-leho-leho! Thank you, Old Town School of Folk Music’s Wiggleworms Love You for forever being stuck in my head. All singing aside (does that ever happen? ), I recently offered a program called “Power to the Kiddie Apps!” for ages 2-8 with a caregiver. Eleven families attended, all toting their tablets as requested, and all were rip-roaring to go. The energy of the Little eLit community is surging with ideas about app reference to families, providing appvisory alongside our traditional recommendations. This new outlet for librarians is a very powerful one, a niche that is not filled by many other sources, especially not ones that have such high acclaim in their communities as librarians do. My library has been providing access to tablets inside the library for 8 months now. Librarians expertly choose new apps every month for ages 2-8, allowing parents and children to preview educational apps before they buy them and providing access to tablet technology for those that do not have it. We have had tremendous success and the iPads are always in use. But in use by both the child and the caregiver? The power of educational apps is derived from a myriad of sources, the biggest being CO-PLAY and CO-ENGAGEMENT by child and adult. When I see adults talking and playing alongside their children, I get a burst of happiness and delight knowing that the adult is treating the tablet no different than a book or a hands-on activity. But this is not intuitive to all caregivers. Tablets have an ability to mesmerize and it can be easy to fall into the “pass-back” effect where an adult may give it to their child to pacify. This, ultimately, allows adults to immerse themselves in activities sans children. Well, I needed to give my brain knowledge to the people. Program time! Prep-Time & Setup: I researched the booty out of Little eLit, finding the presentations by Amanda Armstrong and Lindsay Huth & Holly Jin of particular help, especially with analyzing apps. I find that ECRR 2nd edition provides a really nice framework for presentations on early literacy, so I chose to organize this program as such, focusing on apps that emphasize talking, singing, reading, writing, and playing. I wanted to make sure that I included early literacy notes that were relevant to the apps so parents could see their practical use. I also included a few stretcher rhymes to get their blood flowing. Before the program began, I emailed the registered adults and asked them to download two free apps: Sketch-a-Song (Android, iOs) and Scribble My Story. I wanted the apps to be offered across all platforms, free, and suitable for ages 2-8. This proved to be a very hard task. I found out the hard way that Scribble My Story was free, but only on the iPad. Live and learn, I say. What made you decide to come here today? Early Literacy note: Encourage completion of a project so a child feels accomplished and encouraged to play (and secretly learn) more! Early Literacy note: Music is an excellent way to promote creation and open up a child’s exposure to world cultures. Evaluation: Overall, the parents left satisfied that they were more knowledgeable about using apps with their children. Many of them, interested in the material being presented, already had a general understanding of the best way to use apps with children, so they felt reinforced in their understanding. I highly encourage describing the apps’ great features while demonstrating them, keeping the interest of the children while giving educational notes to the parents. 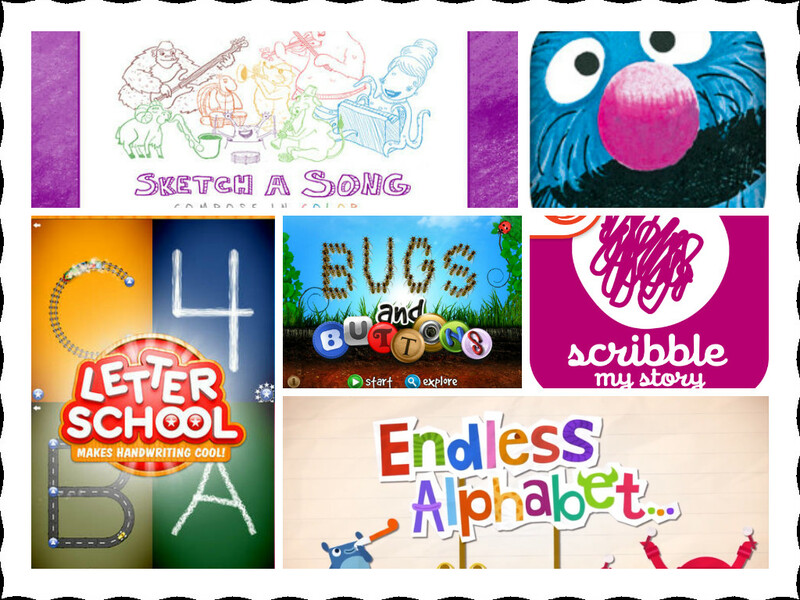 The age range was wide and it was hard to provide apps for every interest and level so I focused on apps best suitable for the mid-range preschool age. However, I did stress that caregivers could still apply the tips and early literacy practices to older level apps. All in all, this program really amped me up to include apps in storytime. Just like we demonstrate best practices for reading books with children and sharing rhymes, we can now demonstrate the best way to use apps—through talking, singing, reading, writing, and playing. Kelsey Cole is the Youth Services Librarian at Fremont Public Library. She blogs at It’s a Library Bonanza! Posted on March 26, 2014, in Apps, Interactivity, Literacy and tagged Kelsey Cole. Bookmark the permalink. Leave a comment.